MUNICH – Germany’s tech companies could see new business with the military, as Defense Minister Ursula von der Leyen seeks to funnel more funding toward cyber technologies under plans to grow the country’s defense budget. 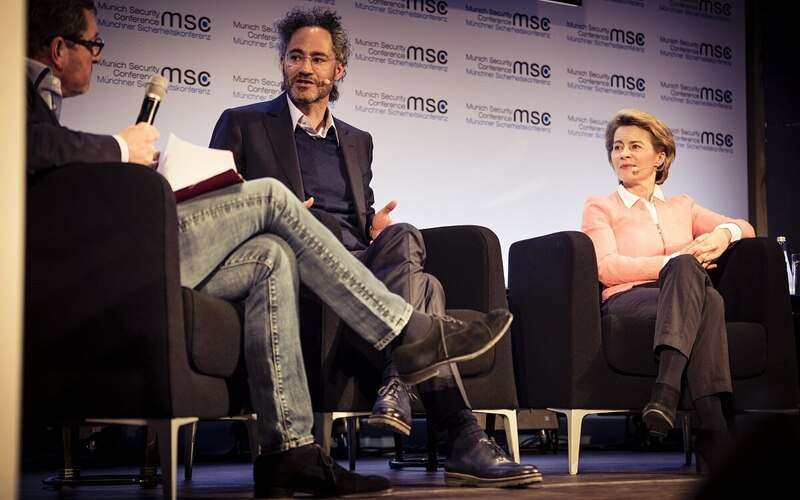 Alex Karp, the co-founder and CEO of data-mining giant Palantir, joined von der Leyen on stage to dish out some advice for a country that he said has world-class engineers but sometimes lacks can-do optimism. With decades of executive experience in top German auto and engineering firms, including Audi, Volkswagen and ThyssenKrupp, Klaus Hardy Mühleck was tapped late last year to reshape the German military into a force fit for cyber conflicts. Palantir’s own story is marked by its struggles to get the U.S. Army to adopt an application that predicts attacks with improvised explosive devices on the battlefield. At the time, the service had its own multibillion-dollar software planned and saw Palantir encroaching on its turf. The fight turned public and it became bitter, but for many it encapsulated what’s at stake when big government meets Silicon Valley types. In the end, Karp said, what opened doors for Palantir was finding special operations forces who were so convinced of his counter-IED product that they would go to bat for it within their bureaucracy. “You go to the generals and tell them this will save my life,” he remembers telling service members. The German Bundeswehr last year created what officials hope will be an easier entryway for new ideas, the Cyber Innovation Hub. The new organization is slated to get €15 million over three years. Its leader, Marcel Otto Yon, said he hopes to reach full operational capability in a year. As von der Leyen and Yon see it, money isn’t everything. Their concern is more about changing the thinking within the Bundeswehr to foster innovation and modify an acquisition process built on sequential iteration, not disruption. “We need a raise in the budget, without any question, but I have to think even more about how do I have to change the structures,” said von der Leyen.